“People are spending hundreds of dollars for one night, because that’s what society tells us to do,” said Senior Brenna Connor. According to U.S. News, a national survey conducted by Visa showed the average American household spending $978 for prom. Families in the Northeast spent the most, a shocking $1,104. Senior Bronson Mantooth has found himself in a position of not coming to his Senior Prom at U-32. “I’m going to two proms on the same night, Twinfield and U-32. I was talking to my date about skipping ours and just going to Twinfield because spending $40 on tickets isn’t worth it,” said Mantooth. Many U-32 students are frustrated with spending so much on each ticket for prom, when many describe the upcoming night to be overrated. “I’m already spending $200 for my suit, $25-50 for dinner and $30 for corsages and then I hear that our prom isn’t going to be good,” said Mantooth. 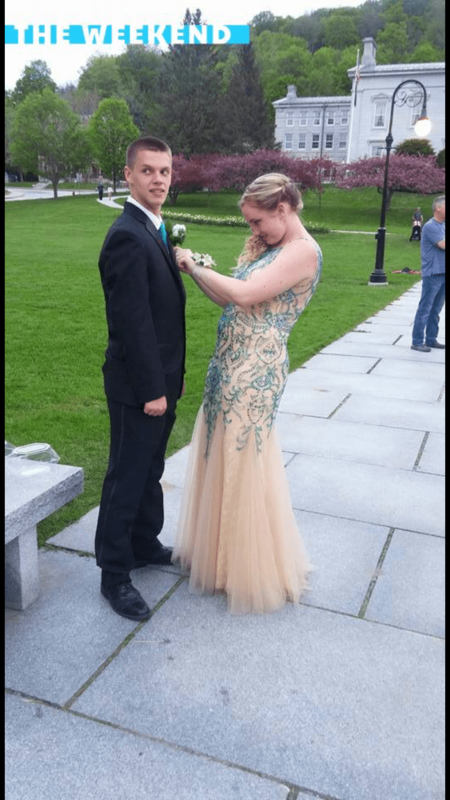 Similar to Bronson, Senior Jacob Kellett has also found himself spending a lot of money after attending Montpelier’s prom, and now U-32’s. “I think it’s way overpriced for one night. I’ve spent $454 altogether,” he said. Derek Cote (center, right) posing with friends. Cote said he paid around $215 for prom and money for gas, for commuting back and forth between Williston to get his tux. “But I know people who have spent more,” he said. Many students have admitted their parents paid for everything. “I’ll be spending $425 for my daughter to attend her senior prom,” said Provost. Krista Towne gave a breakdown of her spending. “I’m my mom’s only child so this is really special for her, she’s willing to spend a decent amount because she finds prom to be an important night,” she said. Krista Towne putting her boutonniere on her date. An Economist would also think about the opportunity cost of prom. Opportunity cost is giving up something in order to do something else. Some students felt as if their time and money could have been better spent. Junior Garrett Carr was among these skeptics. “I could have been playing Mario Kart instead,” he said. Senior Cullen Partin said he knew prom wouldn’t be worth attending, so he hung out with a friend instead. Brenna Connor shared her thoughts on the night. 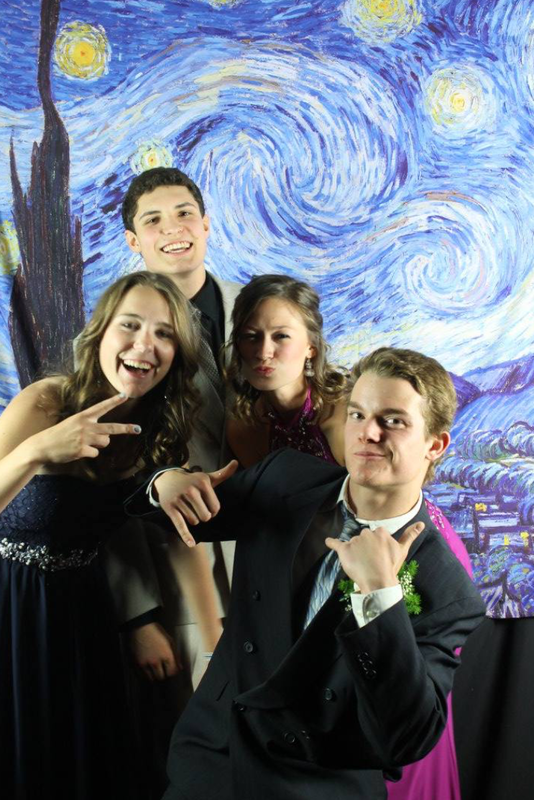 The starry night photo booth. Though there have been some complaints. A new edition this year was a ‘Starry Night Photo Booth.’ Many friends and their dates enjoyed pictures in front of the backdrop, as many people went up for multiple pictures. An economist measuring the value of prom would also consider the value of “signaling” for students who attend. Signaling is when we make purchases or decisions in order to project a certain image and gain in social status. For example, the clothes we wear: American Eagle, Ralph Lauren, and Carhartt logos each show people around us something specific about who we are, or want to be. 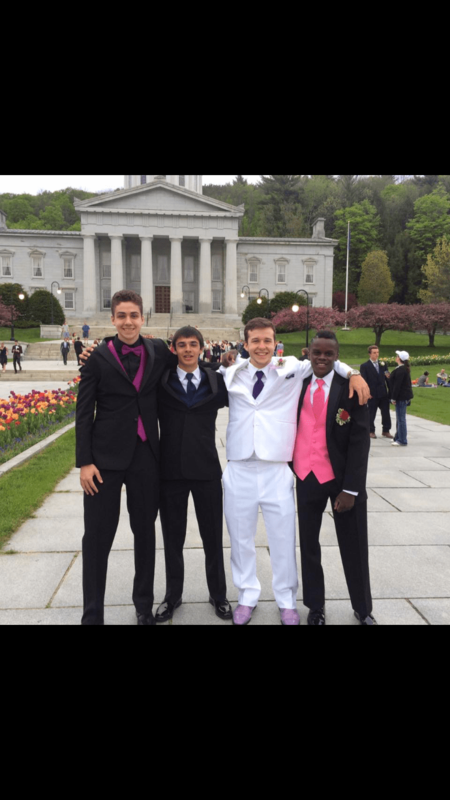 Going to prom is valuable for the social status we get from attending. The photo booth was extremely popular due to the fact that students want to have memories they can hold onto for years on end. Prom is all about documenting the night, and pictures are one reason why most people feel the need to go, because on social media that’s what everyone sees. Thats where much of the value is.